I'm looking for casual players! 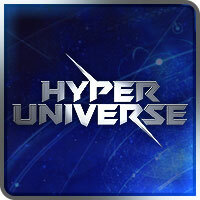 Hi everyone, ImNomadd and I am relatively new to the Hyper Universe community. Though it looks to be near dead I was wondering if any of you would like to join me in casual play? If we get good enough to be competitive then so be it and if not I would still like to have some casual fun. Add me in game @ ImNomadd ! Thanks! i try to keep playing this game so add me if your interested. but the population is super low tbh.